As part of "Still Raising Hell: The Art, Activism and Archives of Camille Billops and James V. Hatch," area artists were invited to help create the Billops-Hatch Butterfly Project, an origami art installation. 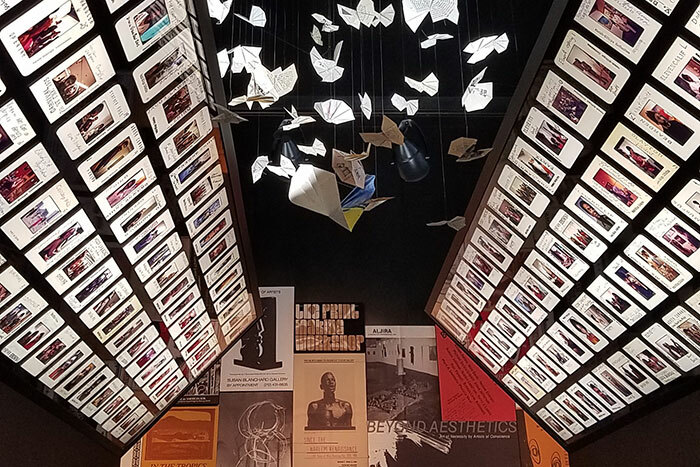 The project presents a floating array of 250 original origami butterflies intended to represent deceased black artists -- many of whom were friends of the couple -- who have ascended from the physical world onto another plane. 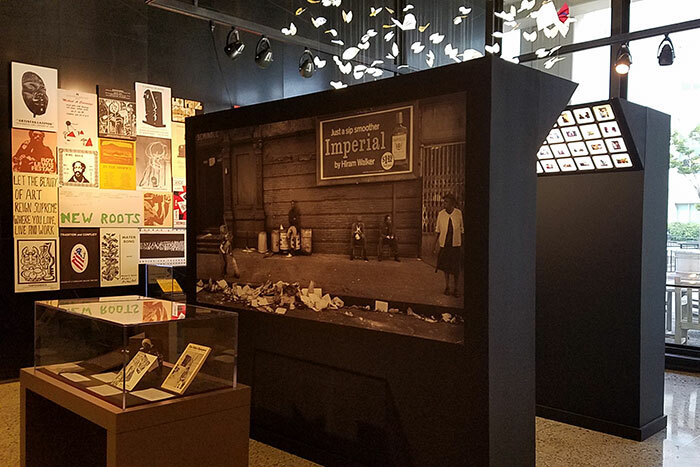 Featured items in the Emory exhibition include photographs, books, original artwork, play scripts, theater posters, exhibition programs and related ephemera. This photo of James Hatch at his desk was taken by Terrence Reece. 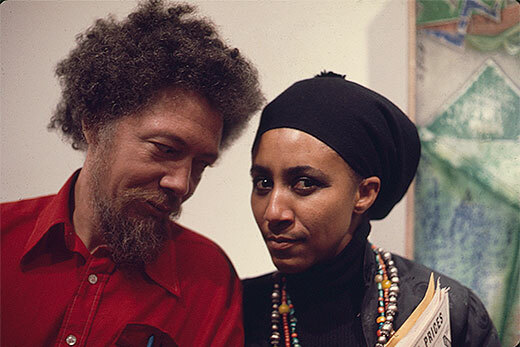 Camille Billops with artist Benny Andrews at the opening of the "Bearden and Blues" exhibit, 1975. Credit: Camille Billops and James V. Hatch Archives at Emory University. Image from the movie "Mama and Papa Lala," 2008. Credit: Camille Billops and James V. Hatch Archives at Emory University. 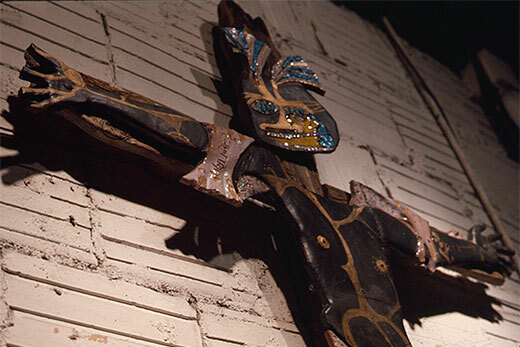 Camille Billops, "Black Suffering Jesus," ceramic, 1972. Studio Museum in Harlem. Credit: Camille Billops and James V. Hatch Archives at Emory University. 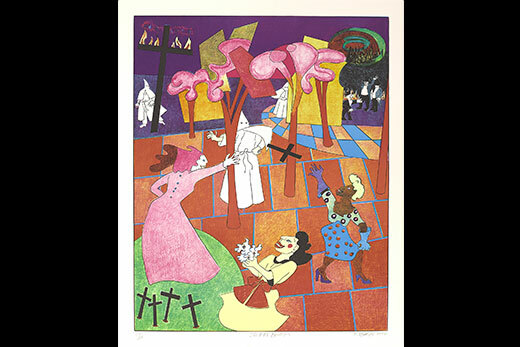 Camille Billops, "The KKK Boutique," 1994, color offset lithograph. Credit: Camille Billops and James V. Hatch Archives at Emory University. 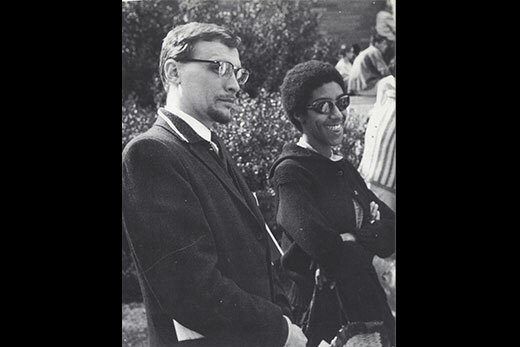 James V. Hatch and Camille Billops on the UCLA campus, 1960. Credit: Camille Billops and James V. Hatch Archives at Emory University. 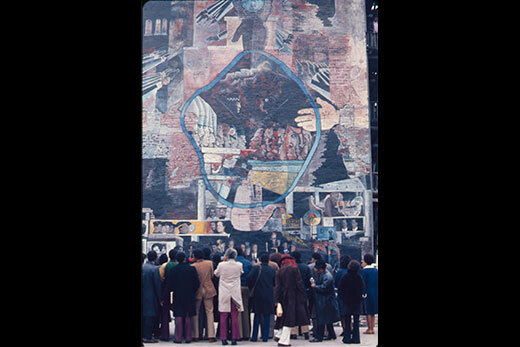 Photograph of William Walker's mural "Peace and Salvation, Wall of Understanding," oil paint on masonry, was part of the Chicago Walls project in 1970. Credit: Camille Billops and James V. Hatch Archives at Emory University. 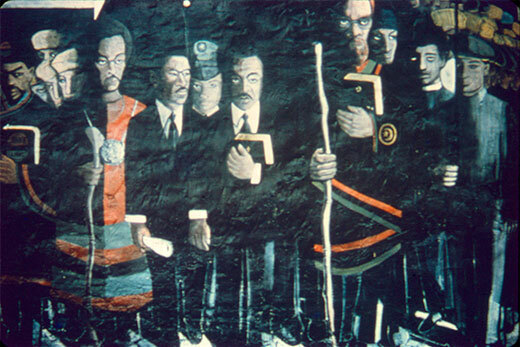 The bottom section of William Walker's mural "Peace and Salvation, Wall of Understanding," oil paint on masonry. Credit: Camille Billops and James V. Hatch Archives at Emory University. Exhibition curator Pellom McDaniels III. Emory University will open a major exhibition, “Still Raising Hell: The Art, Activism, and Archives of Camille Billops and James V. Hatch,” drawn from the Camille J. Billops and James V. Hatch archives in the Stuart A. Rose Manuscript, Archives, and Rare Book Library at Emory University, beginning Sept. 15. The exhibition, which will be on display in the Schatten Gallery of Emory’s Robert W. Woodruff Library, will explore themes related to creativity, social justice and community through archival practices and the production of art. Related public events will be added to the Woodruff Library calendar webpage by early September. 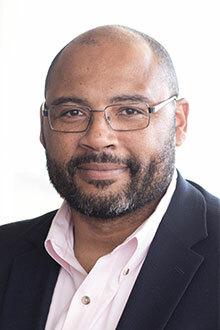 Widely considered to be one of the most important collections of materials related to 20th-century African American theater, art history, and African American artists, the Billops-Hatch archives are long overdue for public exploration, according to exhibition curator Pellom McDaniels III, who also is the curator of the Rose Library’s African American collections. 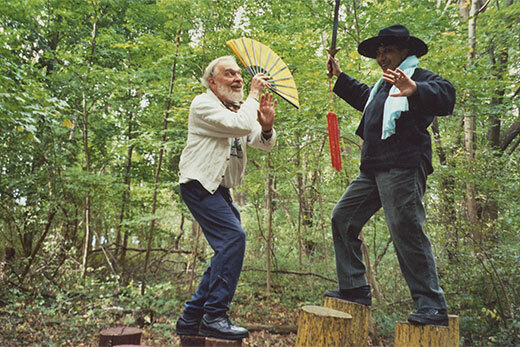 The Camille Billops and James V. Hatch archives include more than 1,000 African American-authored published and unpublished play scripts (back to 1879), hundreds of theater programs, ephemera and more than 1,500 audio and video interviews conducted with artists, writers, poets and others involved in creative endeavors. 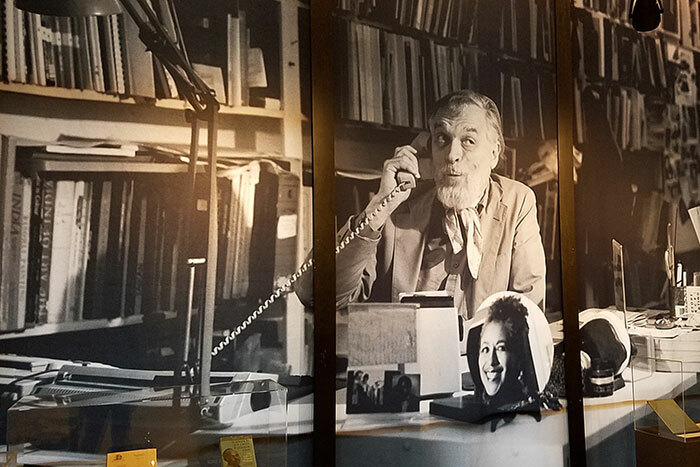 Billops, a filmmaker, artist and activist, and Hatch, an author and theater historian, are a couple who have collected these materials over the last 50 years and have donated a significant portion of their Hatch-Billops Archives in New York City to Emory University starting in 2002. With its home in the Rose Library, the collection is accessible to students, faculty, researchers and the public. Among the featured items in the exhibition will be photographs, books, original artwork, play scripts, theater posters, exhibition programs and related ephemera. A selection of audio and video interviews Billops conducted for Artist and Influence, a journal of black American cultural history published by the Hatch-Billops Archives from 1981-2012, will run on multimedia kiosks in the exhibition. Additionally, a short documentary about Billops and Hatch will show continuously. Many of the artists included in the Billops-Hatch exhibition have placed their papers with the Rose Library, including Gylbert Coker, Whitney J. LeBlanc, Walter A. Simon, Mildred Thompson, Ed Bullins, Owen Dodson, Paul Carter Harrison, Pearl Cleage, Delilah Jackson and Barbara and Carleton Molette. The exhibition will address questions related to art and activism, as well as the importance of history and memory. Quotes from black artists such as Romare Bearden and Elizabeth Catlett will be featured, offering a variety of perspectives on the role of the artist in a world of changing possibilities. Portraits of artists such as writer James Baldwin, created by Atlanta artist Keef Cross, also will be featured. An online exhibit will launch with the exhibition opening, with a link that will be posted at the Emory Libraries exhibitions page a week before the opening. An illustrated print catalog of materials from the Billops-Hatch archives, with a selection of essays by McDaniels and others, also will be available. “Still Raising Hell: The Art, Activism, and Archives of Camille Billops and James V. Hatch” will be on view until May 14, 2017.